Porter is recognized by leading coaches, school administrators and architects throughout the world as being the leader in the industry. It is our long time commitment to state-of-the-art innovation and research and development that has enabled us to continue in our tradition of producing materials of the highest quality, durability, functionality and adaptability. Our continuous research and support in all aspects of the athletic equipment industry contributes immensely to our ability to design, engineer and manufacture products to help athletes grow and improve at all age and skill levels around the world. Porter basketball backstops have been used with confidence in countless competition games worldwide including NBA championships, The Olympic Games, The NBA All-Star Game, The NCAA Final Four Tournament, The Pan-Am Games, The Goodwill Games and The World Basketball Championship Games. 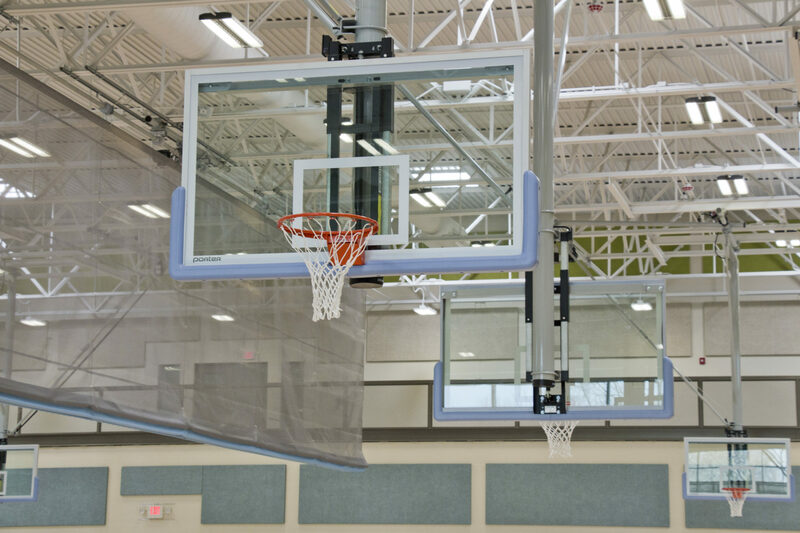 Many top-ranked professional arenas and major universities, as well as countless local schools, park districts and YMCAs around the world have installed Porter backstops to provide only the finest equipment for the facilities. Porter Athletic is a Litania Sports Group Company.